Get the smile you’ve always wanted with cosmetic dentistry from our Westfield practice. Do you have excessively pointy teeth or a slightly uneven tooth? 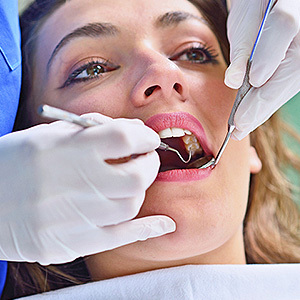 If you are someone who is only dealing with one or two minor cosmetic flaws, then tooth reshaping may be all you need to buff away these little problems. By removing bits of enamel from the tooth, our Westfield, IN, dentists can reshape the tooth quickly and painlessly. This cosmetic treatment is often used in conjunction with teeth reshaping, and it offers a way to minimally change the shape, size, or color of a tooth. If you have a small chip or discoloration that you wish you could hide, tooth-colored resin can be applied to the area to cover these issues. 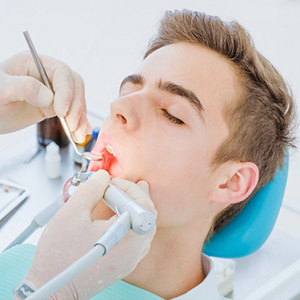 Once the resin is applied and shaped, it can be hardened permanently to the tooth. This treatment is also completely non-invasive and doesn’t require anesthesia. Do you wish that your smile was more symmetrical or didn't have that small, yet obvious gap? If you want to alter the overall shape, size, shape, or alignment of your smile, this simple porcelain restoration is the ideal option. Veneers are bonded to the front of your smile in order to become the new outer layer for your teeth. Once these shells are applied, they will be able to cover a host of different imperfections while giving you the flawless smile that you’ve been looking for. This is one of the most popular cosmetic options, as it offers patients a way to achieve a significantly whiter smile in as quickly as one hour. Our powerful whitening system can get smiles up to 10 shades whiter. If you want to get a whiter smile before your wedding day or an important event there is no faster way to get the results you want then with in-office teeth whitening. Krause Dental in Westfield, IN, is here to help you achieve your cosmetic goals when it comes to improving the look of your smile. If you want to learn more about cosmetic dentistry and how it can have long-term benefits for your smile, give us a call today at (317) 399-9329!